It's a safe bet that most Pokémon fans are excited for Pokémon GO. For one thing, the trailer for the upcoming mobile app / game is really cool. For another, Pokémon GO is designed to let you catch Pokémon first and foremost. By contrast, Nintendo's Miitomo is a bit divisive because it's a social app that doesn't feature recognizable mascots like Mario or Link. It's no surprise, then, that Pokémon GO was swiftly datamined when its beta kicked off in Japan last week. Info about the app has since gushed forth with the fury of a Blastoise's Hydro Cannon. Much of the available information comes from the Pokémon Go subreddit, and it's available in convenient video form. Gematsu also has a list of what's on tap, courtesy of French sites CentrPokemon and PokeKalos. GameXplain's Pokémon GO info summary video is also a handy-dandy resource. -You can join one of three teams: Red, Blue, and Yellow. 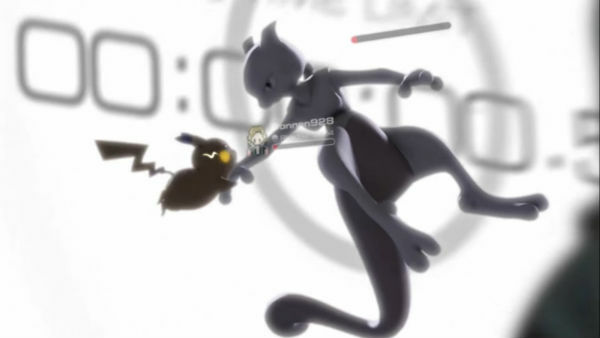 -Teams can wage Gym battles against one another. You can place one Pokémon in an empty Gym to fight for your team. Team members need to work together to build up a strong offense and defense: The more members a team has, the likelier that team is to dominate Gym battles. Needless to say, rival teams can attempt to muscle the leading team out of any claimed Gyms. -Gyms and "PokéStops" (which contain Pokémon eggs for you to find and hatch) are located at important local landmarks. -In the same vein, Pokémon are likelier to be caught in environments that reflect their type. Water-types prefer lakes and oceans, for example. -So far, only the first generation of Pokémon is available for capture. That's likely to change with future updates, though. Might be a while before the app is as exciting as the commercial. -You don't battle wild Pokémon. You merely capture them with your touch screen by "throwing" PokéBalls. -You evolve Pokémon by harvesting Evolution Shards from wild Pokémon. When you get enough Shards, you can make an Evolution Stone. -All Pokémon types are present in-game (including Fairy), and there are three major categories: Normal, Legendary, and Mythical. -Each of your Pokémon adhere to one of several different sub-categories: Stoic, Assassin, Guardian, Raider, Protector, Sentry, and Champion. It's not clear what these sub-categories entail, but they likely determine how your Pokémon will behave in Gym battles (an Assassin might attack aggressively, whereas a Guardian fights defensively, for example). -There's a day and night cycle. Undoubtedly, certain Pokémon can only be caught at specific times of the day. Kids, get your parents' permission before running outside at 3 a.m. to catch a Hoothoot! This deluge of information is super-cool, but keep some things in mind before you let yourself get carried away with excitement. First, the beta is currently suffering from some performance issues. That's fine: Betas and field tests exist to help smooth out technical problems. But it also indicates a worldwide launch is still far away. Make no mistake, The Pokémon Company is working on a big project here, and given how beloved the Pokémon franchise is (and how this is the series' major, much-awaited debut on mobile), it can't be blamed for wanting to get everything right the first time. It's obviously impossible for an app as big as Pokémon GO to be perfect at launch, but the project will suffer mightily if launch day brings with it a bunch of one-star reviews and complaints about how the app won't even open on certain devices. Second, GameXplain brings up a good point that's doubtlessly on the minds of many rural-dwelling Pokémon fans: If Pokémon GO expects you to visit landmarks and different biomes, what are you supposed to do if you live in the middle of nowhere? Obviously an app like Pokémon GO is designed to encourage you to travel, but for many people who live in the boonies, reaching a significant landmark isn't simply a matter of walking a few blocks or even jumping on your bike or taking public transit. If you live in No Man's Land, Arizona, you might have to get used to keeping company with a whole bunch of Sandshrews and Krokoroks (actually, that doesn't sound so bad). These potential Pokémon GO shortcomings bring to mind the struggle of trying to find Nintendo 3DS Streetpasses in the wide-open areas of North America. The feature seems engineered for Japan, which is densely populated and bursting with a delightful variety of natural environments: Forests, lakes, oceans, mountains, the works. Nintendo found a sort-of work-around for the sparse Streetpass dilemma with Nintendo Zones, so it's very possible The Pokémon Company will find a way to satisfy rural Americans. It just might take a while. In fact, "Just wait and see" is a good mantra for Pokémon GO in general. One gets the impression it's in for a rocky start, but a year or two from now, we'll be lobbing virtual PokéBalls at Pikachu as smoothly and naturally as answering a phone call. Tagged with ios,	mobile,	News,	The Pokemon Company.